We are extremely pleased to inform you that Le Cordon Bleu Dusit has been nominated for the Annual Awards of Excellence 2018 – organized by Cuisine and Wine magazine in Singapore, under the category of Hospitality Institution of the Year (Regional) – presented by Electrolux. 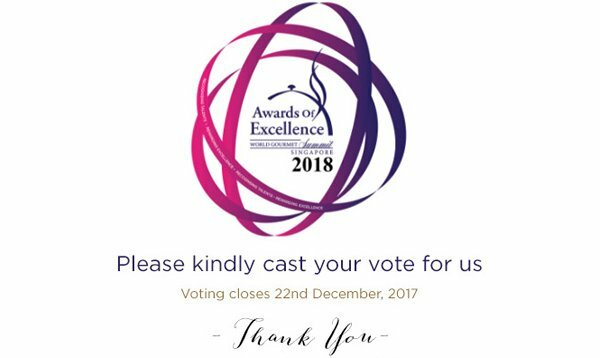 We are very honored and humbled to have been nominated, and we would like to invite you to please kindly cast your vote for us. Voting closes 22nd December, 2017 so please hurry! We would also like to take this opportunity to thank you all for your patronage, and for being part of the Le Cordon Bleu Dusit legacy.